Dungeons & Aliens is a new mobile game by Kool2Play that will steal hours and hours from your free time pool. It’s a mash-up of Plants vs. Zombies and a classic swipe-based arcade, where a peaceful kingdom suddenly gets invaded by alien forces and in which your main objective is to banish all aliens from the face of the Earth. You play a role of three wizards (you’ll start with one and unlock other two later during the game), equipped with their main magic attack as well as one special (more potent) ability. Your main goal is to defeat aliens as well as to save your people. Similar to what you have in tower defense games, only here you have to save enough people, instead disallowing a certain number enemies to get through. Enemies come in various forms; there are basic aliens, having low health and being generally harmless, except when in large groups. Shielded aliens can be a real pain, but their snail-like speed will give you enough time to defeat them. Runners can be tricky to deal with, but if you spot them on time just a few projectiles will be enough to banish them to the land of dead. Bosses won’t visit you often in Dungeons & Aliens, but when they make an appearance you’ll be quickly defeated unless you focus all of your attacking power on them. There are many levels, with less than generous prizes for beating them, and, as with most mobile games, the game is a free-to-play title that will soon enough morph into a gold-hungry tough-as-nails behemoth. 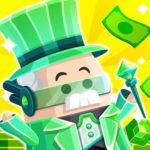 Upgrades will be tougher and tougher to get, you’ll have to rely on grinding in order to earn enough coins needed for upgrades, and every few levels, the difficulty will steeply change. Although it sounds like Dungeons & Aliens can’t be enjoyed in full without grabbing your wallet and buying at least couple of thousands of coins in order to acquire a few much-needed upgrades, the game can be played without spending a dime; all you have to do is to focus, swipe the screen like your life depends on it and follow our magical list of tips and tricks, in which we’ll give you an upper edge against invaders from another world. Stay with us and find out how Dungeons & Aliens can turn from an impassable obstacle into a game where (almost) every new level will be a joy to play. 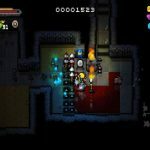 Since Dungeons & Aliens is a game where swiping the screen in order to damage opponents is the main gameplay mechanic, it is possible to hit more than one enemy at once. You should include this strategy as soon as you start playing the game since numerous projectiles can be thrown away just by focusing on one enemy at the time. By hitting multiple enemies with one swipe, whole rows of enemies will disappear in just a few seconds, you’ll have more time to watch for friendlies making sure they aren’t killed by aliens, and most levels will be finished in substantially less time this way. After you successfully finish a level, a certain amount of coins will be rewarded to you. You have the option of doubling the coin prize by watching video ads. Although some levels will bring you relatively humble coins stash, beating others will give you more generous rewards. If you earn, let’s say, more than 60-70 coins as a prize, it’s worth to watch an ad in order to double up the prize. Getting coins in Dungeons & Aliens can be slow and grindy, so we strongly suggest you to watch an ad and double your prize. Beating the level again will take a couple of minutes while watching an ad will take just a few dozens of seconds. This way, you’ll be able to unlock important upgrades during early-game. 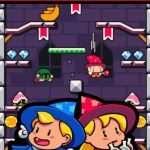 Dungeons & Aliens is a game where reflexes play a higher role than skill, and where swiping like hell is the key to success. Just swipe the hell out of it, don’t even raise a finger, not for a second. It’s best for the finger to be always on the screen; short, fast swipes that pass over multiple enemies are the best strategic approach. Since this can be tiring for your arms, we advise you to make frequent, short breaks. Playing Dungeons & Aliens without breaks will make you less deadly for your foes, your swipes will become slower, your focus will be affected, and soon enough levels will look impossible to beat. So, fast, short swipes in combination with frequent breaks (after every two levels, for instance) is a winning formula. As we said before, the mages in Dungeons & Aliens fight foes with two attack types; regular attacks, and spells. Spells are consumables, refilling them costs gold, so it’s best to save them for bosses and special, tougher enemies. Don’t fall to the urge of dissolving enemies with a couple of meteors just because you can; if you go that path, you’ll curse your decision as soon as the first boss level gets unlocked. Spells should be used against bosses; first, shave some health of them by placing explosive obstacles and hitting them with your main attack; after they get damaged, throw spells at them. And never waste spells in levels in which you see that all is lost; you won’t get a spell-refund if you fall a level. There is few obstacles (around 3-4) present on every level, and by far the best are dynamite obstacles. As their name suggest, they are made out of dynamite and will explode as soon as an enemy hits them. They are perfect for clearing out large groups of aliens, and since they can be moved around, they have a high tactical value. At the very beginning of the level, click on an explosive obstacle and move it as close to your shield as you can so they can stay in the background, away from enemies. Then, if and when you get into trouble, place dynamite in front of a group of enemies, wait for one of them to activate it and watch as a bunch of aliens burn. Getting three stars can be infuriatingly tricky on some levels, since aliens can start hitting your allies, who you need to save, as soon as they appear on the screen. This is sometimes very hard to spot, you won’t even notice that an ally is dead until you finish the level and notice that not all allies are saved. So, if getting constantly two stars, either try beating the level again, after buying some offensive upgrades, or pay a large amount of attention on the border where aliens appear, and watch for any ally showing up. If you see her and see the alien who’s hitting her, try throwing explosive charge, or a spell on an alien in order to destroy it before the said alien kills your ally. They are deadly for their friends, killing all aliens in their vicinity with the bomb. Killing them instantly isn’t the smartest thing to do in some situations, like when they are followed by dozens of enemies. In those scenarios, wait for them to become surrounded by other aliens before eliminating them, and killing piles of aliens with the bomb. If not spending a dime on Monsters & Aliens is your goal, grinding levels is a must. But don’t just pick a random level and start playing it again and again. Pick a boss level, since they reward you with a substantial amount of gold. Combine that with gold doubling ads, and you’ll have enough gold to upgrade offensive ability a couple of times in just a few dozens of minutes. Sure beats spending real money. Obstacles (except dynamite one) will slow down enemies, but since they are scattered all over lanes, they won’t be highly effective. It’s best to make a wall, close to your shield, so every enemy coming close will stop, trying to destroy an obstacle, giving you enough time to spot it and kill it. Don’t let enemies to fly under the radar; they can destroy your shield and pass the wizards, meaning game over, in just a few seconds; making obstacle walls is a handy strategy of not letting that to happen. You can upgrade hit points of the shield and obstacles, as well as attack damage, and spell damage. It’s best to upgrade attack damage first, for every mage. Spells are used sporadically, and upgrading hit points of the shield and obstacles won’t make you much tougher. 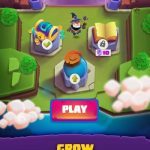 We hope that this guide helped you in becoming a pro in Dungeons & Aliens, making the game a lot easier, and a lot more fun. Happy Gaming!